Pudelek - Joelle Delbourgo Associates, Inc.
Rachel Pudelek is a dog-hugger and tree-lover. Growing up with three sisters sparked her passion for both women’s history and women’s advocacy, which led to her career as a birth doula and childbirth educator. These days she channels those passions into researching and writing fiction. 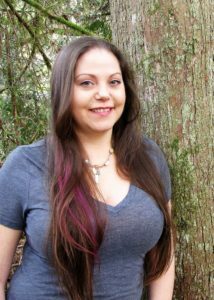 The idea for her debut novel, FREYJA’S DAUGHTER, book #1 in the Wild Women series to be published by City Owl Press, came about while researching ancient goddess-worshiping cultures. Rachel noticed how mythology about goddesses and folkloric female shifted from a place of strength and power to a place of subservience and wickedness as women became more oppressed due to political/and or religious changes. 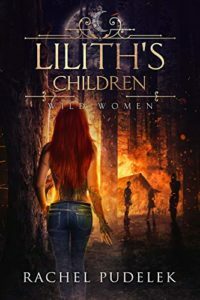 Wild Women #2: LILITH’S CHILDREN is just published to continues the battle between the Wild Women and the oppressive Hunters. She discovered Norse tales about the huldra, women who were said to have bark patches on their backs and live amongst the trees as powerful protectors of the forest. The folklore surrounding the huldra had changed over the years turning them into evil forest women who seduced men and could only be saved by marrying a man. Rachel saw an opportunity to create a similar story about folkloric women who used to be wild and free and powerful, who were told lies about their very existence, that their wildness must be contained due to its evil and uncontrollable nature. Until one huldra stumbles upon the truth when her own containment cracks open and her wildness flows freely. When she’s not writing, Rachel enjoys hiking, attempting to grow her own food, or reading. She lives in Seattle, Washington with her husband, two daughters, two dogs, a cat, and two well-fed guinea pigs. FREYJA’S DAUGHTER, the first book in the WILD WOMEN series, is her debut novel publishing from City Owls Press. Learn more about Rachel and her Wild Women series at her website. You can also find her on Facebook, Twitter, Instagram and Pinterest.